King Salmon has been slow but steady for the local market here in Juneau. Filling shipping orders(usually a pretty short wait list)as we get them. The price on King Salmon has been creeping up and the season is set to close on March 15th. Black Cod and Halibut Seasons have closed here since November and we have nice stocks on both to last through the next 2 months until the next seasons get going. Spot Prawn supply is good and are available at $36(mostly medium size)per 1.5 pound box. These are very nice and where frozen daily on board the fishing boat. We have Sockeye and Silver Salmon Fillets both $11.98lb. Also have plenty of smoked silver available at $18.98lb. Smoked Sockeye is also $18.98lb. There is still a decent supply of Sockeye fillets at $11.98lb. Halibut Fillets are $21.49lb. Do remember to add a note on your gift order in the "MESSAGES" area on the order form. Halibut fillets are $21.49lb and in about 1 pound average packs. Smoked Red King Salmon is in stock at $28.95lb. Please contact us with any questions. We have not found a new supply of King Crab Legs to sell this year, I think the catch was reduced by about 40% this season. We have Alaskan Weathervane Scallops selling for $19.98lb they are in 5lb boxes(4-1.25lb)bags per box. You can order the scallops by the 1.25lb packs or by the 5lb box. These prices do NOT include shipping. We'll keep you posted here as things change. Many thanks to the hardy fishermen who brave Alaska's seas to haul in those wily wild salmon! We are busy smoking King, Silver, Black Cod and Sockeye to refill our shelves so we can help you with your cravings of Alaska's best seafood. We have plenty of the Fresh frozen Silver fillets and Sockeye fillets to add to orders. Make sure and get orders in early enough to reserve you favorite. We are well stocked on most of our Smoked products even smoked Black Cod! Halibut stock is good. We have Spot Prawns, they are in 1.5lb boxes, frozen on board the Shrimp Boat daily and they are very nice. We have many different sizes of shipping boxes available for you to ship whatever combination of seafood you would like to put together. We will figure the shipping once we have a box weight. The boxes are generally pack well enough to last for 2 days but would rather get it to you in one(on the fresh frozen fish). We have Alaska Halibut fillets at $21.49lb, True Pacific Cod $9.98lb. Smoked Black Cod(very oily!)$28.95lb. We do have Large Alaskan Scallops available for $19.98lb. Fresh Frozen Rockfish is in stock at $9.98lb. Consider adding to your order a package of our incredibly tasty Smoked Salmon Spread or our delicious Crab Dip, both of which are very popular locally. It's easy to add items to any order placed through our catalog (or feel free to call in or e-mail your order). Just make a note in the "messages" area of the order blank and we will add whatever you like to your order. We will adjust your total cost to include the extra product and additional shipping. WE SELL ONLY WILD ALASKA SALMON, HALIBUT, SCALLOPS AND BLACK COD!! 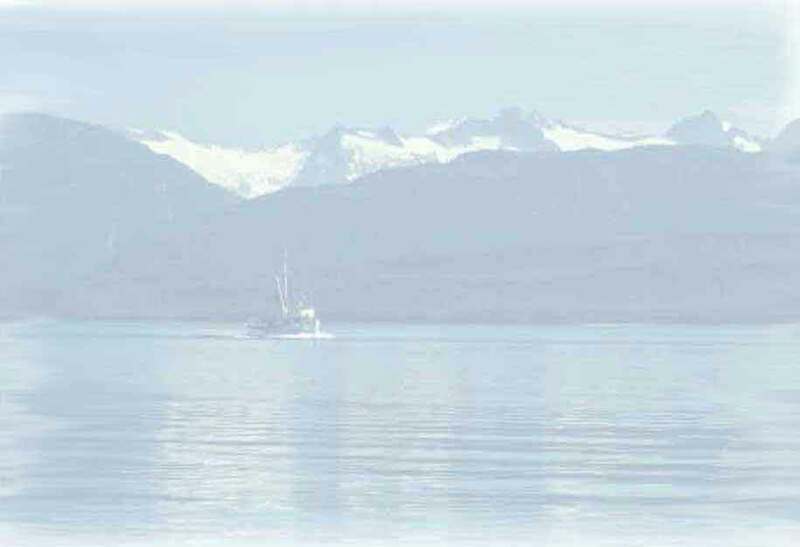 Jerry's Meats & Seafoods Inc. has been serving Juneau and Southeast Alaska for more than 25 years. Now you can have our award-winning products shipped to your own front door. In Juneau, Alaska, where Smoked Salmon is served at every party and is a favorite snack food, Jerry's Smoked King Salmon, Salmon Spread and Crab Dip outsell all others combined. Lavish your palate in luxury by ordering our fresh frozen sockeye or king salmon steaks and fillets. Enjoy Alaska's finest halibut. If your tastes extend beyond seafood, ask us to ship Alaska reindeer sausage with your order. We prepare our smoked salmon with a direct, slow-smoking method of cooking over pure alderwood chips. We start with the finest quality fresh fish, add it to a simple salt, sugar and water brine, free of chemicals, preservatives or additives. These all natural seafood products are lovingly prepared and hand-packed in our special kitchen. We believe you will savor the results and that you will enjoy the no-hassle, direct-to-your-door delivery of the finest smoked salmon anywhere.